Facebook has announced a major overhaul of its privacy controls. The social networking site is simplifying its settings, offering users three options. Members can share their content with only friends, friends of friends or everyone. Facebook is also giving users the ability to control who sees each individual piece of content they create or upload. The changes will be rolling out in the coming weeks. 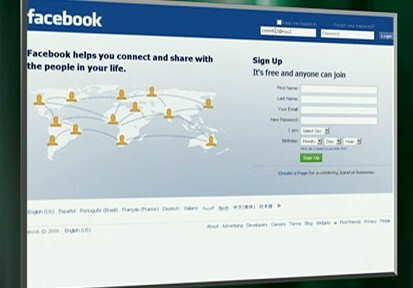 Facebook also announced that it's hit another membership milestone with more than 350 million users. Verizon Wireless has been firing away at rival AT&T's network in a recent advertising campaign and now it looks like the company has even more ammunition. Verizon is at the top of Consumer Reports annual survey of cell phone carriers. It got high marks for customer support, voice connectivity and data services. T-Mobile came in second, while Sprint and AT&T tied for last place. AT&T got poor marks on everything except Web access and texting. Universal Studios has a solution for people with both Blu-Ray and standard DVD players. Starting next month it will begin selling "flipper" discs. One side is a standard DVD, the other a high-definition Blu-Ray. The first movies to go on sale in this flipper format will be "The Bourne Trilogy," with others expected to follow. The extras that typically come with movies will be on both sides of the disc. Google has revealed its list of top searches for this year. Twitter was its most popular search in the U.S. Michael Jackson came in second, although the King of Pop was tops worldwide. Facebook ranked third. Perhaps even more interesting, Google claims that on any given day, a quarter of the searches are for things nobody has ever looked up on its site before.